Have you ever seen the passionate ballroom dance called the Paso Doble? I saw it performed recently and felt instantly inspired to dive back into the world of competitive dancing. 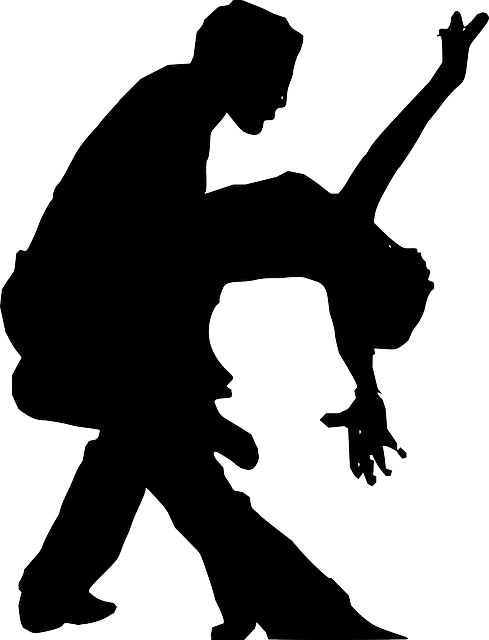 On a whim, I signed up to compete in an international Latin ballroom dancing exhibition in May. I've certainly got a lot of work to do to transform myself into a contender - not only physically but also mentally. And, as the co-owner of a technology and business performance consulting firm, I don't have a lot of time to do it. Business and dancing seem like two pretty different animals, don't they? But, they really have more in common than you realize. It can not only help you transform your happiness in the workplace, but focus your mind to recognize patterns and then identify and pursue relevant opportunities. When coaching executive clients, I walk them through the "steps" I follow as I prepare to perform and compete, such as sharpening my mental focus, increasing alertness, calling upon my memory, and recognizing patterns. Patterns are around us every day and every moment. The key is to open your mind and recognize them. Here are six steps to fall into the rhythm of optimizing pattern recognition and achieving an enhanced sense of fulfillment in your career. Explore deeply, reconnect to your core purpose, and accept that you're going through a state of renewal and transformation in an effort to revitalize and evolve yourself, your partners (employees, customers, resources, etc. ), your business, and your community. Once you're mindful of your reason for taking a leap into a new venture, you can step forward into the dance of movement, enhancement, and empowerment. For example, as I prepare I break down a new dance routine, I focus on the foundational level first -- working from the ground then slowly moving up. I first start with my feet, then the legs, hips, chest, arms, and up to my head. Even if I am working on a familiar routine, it's crucial to always circle back to the foundation. By taking an iterative approach of constant improvement, we recognize new patterns of movement or music that can lead to the next big step. As with ballroom dancing, business takes two (or more) to tango. Be mindful of your partner's thought process - what influences them, what direction are they used to traveling, why do they follow certain dance step patterns. It's crucial to communicate and connect with each other. Observe and be conscious of your partner's behavior. For example, if your partner is repeatedly getting sick or having trouble managing time -- stop and assess what's going on. To learn about your own patterns of behavior, you may need to stop and examine someone else's. Then, observe patterns in your own behavior. It doesn't have to be a major discovery. It could be something small, like noticing that you tend to have more energy to practice in the mornings than in the afternoons. Try to spend some time each day in reflective thought looking for patterns and observing your habits. From there, tweak your behavior based on your findings. If you make this a regular practice, it will readily come to you. This activity will then shift from your conscious mind to your subconscious mind, which is the goal. Connection and balance is also about life management. Focus on nutrition, stress management, time management, as it's very important to live in balance. You can't say yes to everything. Sometimes you need to say no and focus on what is important. By connecting with yourself, you will find that you connect better with others. True focus requires balance. If you're looking to elevate your dancing (at work or at home) to the next level, you must do what is required to bring things into focus, acting on patterns observed by listening to yourself and your partners. My dance partner, Dmitry Savchenko, shared with me why dance coaches are so important. The student may have a gut feeling that a certain move is not working, but isn't exactly sure why. That's when an outside expert is needed to serve as a guide who can see the total picture and offer a path to a solution. In order to truly develop a better routine, dancers must learn to step out of their own way and get out of their head. This is when patterns can be recognized - when you are open to change and move out of your own way. Dmitry continued, "many times I see people trying to correct the actual movements, when it's the preparation for it that leads up to the figures that are causing the issue to start with. This becomes a very interesting discovery process noticing the patterns. That's why you need to spend equal time in preparation and in execution." The persona you create for yourself can have a very powerful impact on how the judges (or your colleagues and superiors) see you. Dream about what is possible. Clearly visualize your ideal image, style and desired characteristics and work towards those goals. Identify what you see as patterns of success, and think about what from that appeals to you. Having a can-do attitude attracts possibilities and opportunities, and draws people to you. Often times, people with a strong, charismatic presence are those that have trained their brains to notice patterns and opportunities, perhaps unconsciously, through repeated focus and awareness. Think of some of your favorite celebrities, and focus on the qualities they exude. As a dancer, I love Shakira. Her hips definitely don't lie, and her confidence and independence are traits that I emulate. Challenge and push yourself, but realize that small changes and tweaks can also have big impacts. It's all about perception. Once you identify what drives your dance performance, your business, services or products, it's time to see how others see you. Customers' buying decisions are based upon their perception of the best value available. Value is comprised of service, quality and price. Note that it's "perceived value" that counts. You have a great deal of control over that perception; in how you and your employees present your company in person, advertising, correspondence and brochures, and what you deliver in product or services. If you clearly understand your company's technical and marketing strengths relative to your competitors, you can deliver a consistent and powerful message. A key success factor is to periodically test to see how your customers' perceptions have evolved - to always know what they really think about your firm. Train your brain to scan for possibilities brought on by external changes. As we discussed, constant repetition will create an unconscious habit so that eventually you will be doing this without even being aware of it. Start by taking notice of what has changed outside of your business. Is there a pattern to this activity? When I compete, how I feel about my performance is very important. But, do you know what's more important? What the judges think about my performance? It's no different in business. Everything we've discussed up until this point is very cerebral and purpose-driven. Now, I'm going to tell you that you must also do the opposite at times in order to have a truly brilliant performance. Our brains use past information and experiences to try to predict what will happen next. By automatically relying on these assumptions and predictions, we may be blinded to possibilities and outcomes that we've not yet experienced. If we lean too heavily on the tendency to do what we've always done and close our eyes to new stimuli in the environment (an uneven floor, a broken shoe) then we will stumble and fall. But, if we're tuned in and alert to the fact that our minds are often on autopilot, we can train ourselves to be open to new patterns and adapt to our ever-changing environments. The only way to see how you'll do in a new situation is to get out "On the Floor," just like Jennifer Lopez and Pitbull sang in their 2014 song. That's where you can uncover and discover what potential lies within you. 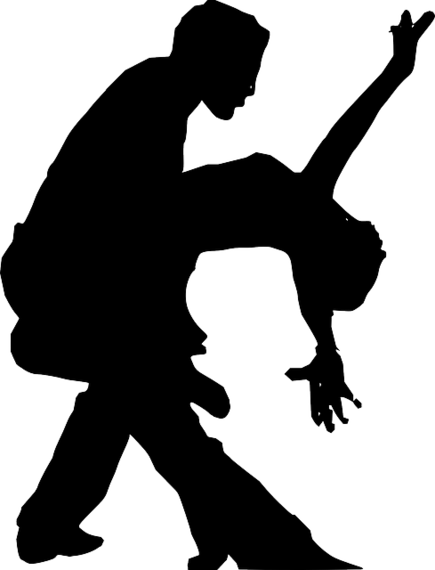 It is important to stay grounded, stable, balanced and connected to the rhythm of the dance. Empower your memory and welcome the recognition of patterns so you can investigate the pathways that will transform your business. By following these six steps to recognize patterns of opportunities and challenges, you'll be able to capture, interpret, relate, and transform. Even if you're not the best dancer at first, by having the willingness to start small, you just might stumble onto something wonderful.